On Saturday 1st August the Cork Mother Jones Committee is privileged to present the film A Sense ofWonder with the kind permission of Kaiulani Lee. The film showing will take place at the Maldron Hotel at 2.30pm. 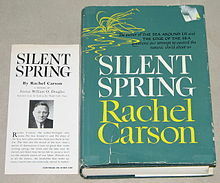 When biologist and author Rachel Carson wrote Silent Spring in 1962, little did this quiet lover of the peace of the oceans and the tranquility of nature think she would be catapulted into a seething controversy which would make her name synonymous with the fight to defend the natural environment!Today she is regarded by many as the founder of the worldwide environmental movement. Her book challenged the production by the multinational chemical industry of toxic chemicals for use in the countryside and which caused the widespread destruction of wildlife. She raised the fundamental issue of the “balance of nature” and how it had been altered by the use of fungicides, pesticides and herbicides. She asked specific questions about the DDT, which was used widely at the time, which does not break down in the environment and accumulates in the food chain. The book was published by Houghton Mifflin in 1962, following the publication of a number of extracts in The New Yorker in June of that year, and had sold over 100,000 copies by December. There was huge controversy! The book was savagely attacked by the chemical industry and its many friends in Government and Big Science. Rachel and many of her colleagues defended her arguments and the debate convulsed America and the wider world. 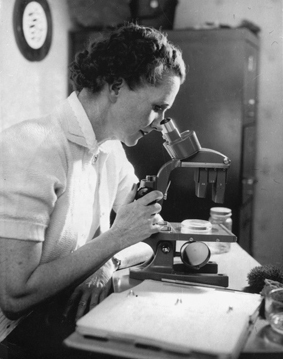 The documentary A Sense of Wonder shows the private and human Rachel Carson in the autumn of 1963, portrayed by Kaiulani Lee, as she realises that the cancer she has battled so bravely cannot be beaten. She worries about her adopted son Roger and considers with a mixture of humour and resignation the many attacks on her book. This film is heart breaking and poignant as she considers her final months, mired in controversy and yet she displays a steely determination to defend her book and the very future of the natural environment. It is shot by Oscar-winning cinematographer Haskell Wexler at Rachel Carson’s seaside cottage in Maine as she is about to depart for the final time. Starring Kaiulani Lee, her performance has been described by Paul Brooks, Carson’s editor and biographer as “This is the Rachel I knew, brought to life with almost uncanny skill and understanding”. Ms Carson died on April 14th 1964. 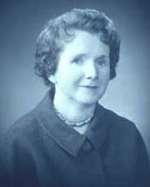 In 1973 Rachel Carson became one of the first members of The National Women’s Hall of Fame.Mary “Mother” Harris Jones and Blues singer Bessie Smith were admitted as members in 1973. Ms Lee will present the film A Sense of Wonder and will be available for a question and answer session afterwards.